Spark plugs are without doubt, the most important part of the engine ignition system. One or more bad spark plugs is going to mess up how the engine runs, and will cause problems such as engine misfires and poor fuel economy. It's therefore important to check and replace spark plugs regularly. They provide the ignition energy (spark) that in turn starts the combustion process. So to put it simply, without spark no combustion is possible. Unfortunately, spark plugs can go wrong in lots of different ways. If your OBD reader is giving an engine code such as P0300 or P0171, it could be cause by a bad or failing spark plug. The only way to properly check for a faulty spark plug is to take them out and inspect them. The following is a list of some common ways that spark plugs can go bad and cause issues. Excessive carbon deposits on the spark plugs. Different levels of normal wear (spark plugs are disposable by design). Fuel on the spark plugs. Mechanical damage on the spark plug. Improper spark plug heat range. 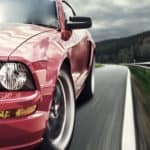 This article focuses on identifying the typical symptoms produced by the above conditions in order to help you determine if your car is suffering from bad spark plugs issues. A very common symptom of bad spark plugs is a noticeable drop in fuel economy. Contrary to other components that influence gas mileage, the effect of bad spark plugs is far more noticeable. Some studies have shown up to a 30% increase in fuel consumption due to bad spark plugs. That’s a huge increase, only comparable to bad fuel injectors. Engine misfires due to bad spark plugs represent a big issue that should be addressed as soon as possible. Usually an engine misfire will be accompanied by a check engine light, so you should get it checked out as soon as possible. Intermittent stumbling sounds on the engine. Possible engine knocking that could lead to drastic mechanical problems. Performance issues and power loss. Carbon deposits build-up on spark plugs (if not already present). This symptom is normally associated with an improper air to fuel ratio, specifically a lean air-fuel mixture. However, unburned fuel particles could also explode in the exhaust system due to its high temperature. This can vary from vehicle to vehicle, but it is still possible and should be checked out as soon as possible so as not to damage the catalytic converter. If you have an OBD code reader you may see codes such as P0420 or P0430. You can think of engine knocking as an extreme case of engine misfires. Piston heads. The first component directly affected by engine knocking is the piston head. Depending on the intensity of the pinging, it may literally perforate the piston head. Piston compression rings. In a similar way to piston heads, the piston rings also withstand increased pressures due to engine knocking. A broken compression ring is not as bad as a destroyed piston head but also requires a major engine repair. Due to the increased pressure in the combustion chamber, the cylinder head itself could become perforated in some cases. As you may guess, cylinder head valves could literally “melt” due to continuous engine knocking. Increased pressure is accompanied by an increased temperature that can easily surpass the valves’ material tolerance. The combination of higher pressure and temperature in the combustion chamber could lead to accelerated wear of the valves, cylinder head, compression rings, and piston head which means metal debris and fuel contaminants will enter to the lubrication system causing wear on other engine components. The ignition system is one of the main systems responsible for acceleration. When a key component like the spark plug is faulty the acceleration performance drops significantly. Depending on the spark plug condition, your car may experience as much as a 40% power loss. Since few other components have such a high impact in engine performance. That’s why you should pay attention to their life expectancy. You may be running worn spark plugs without being aware of it. It’s very hard for the engine ECU to compensate for issues related to bad spark plugs. The reason is simple, the ECU can only modify fuel delivery through the fuel injector’s pulse modulation or change the ignition timing, but this doesn't help little in this case. When the combustion efficiency is hindered by faulty spark plugs, a rough idle is almost inevitable. The severity can vary quite a lot from one engine design to another. But this symptom will always be present. No matter the year of your vehicle, a classic symptom attributed to bad spark plugs are hard starts. Starting the engine requires several conditions, one of them a good air-fuel mixture ignition. 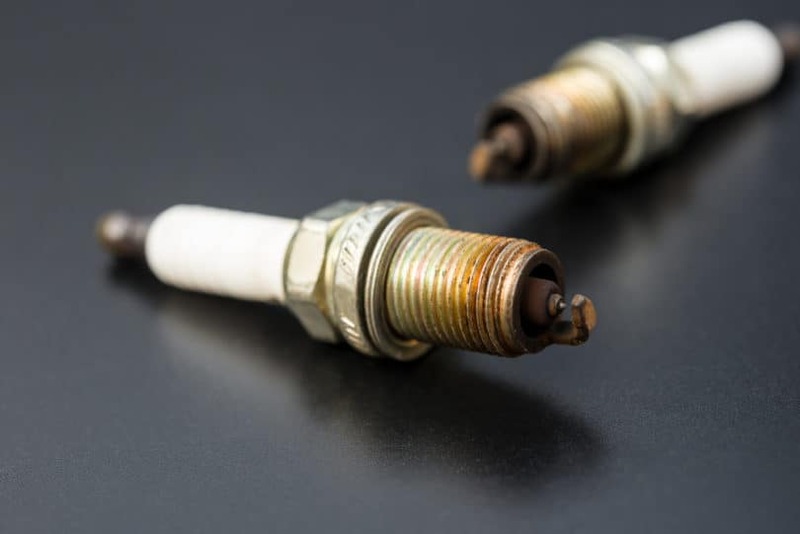 When spark plugs are faulty this condition is not met or is partially met, which causes the hard starts. If the engine is not running as it should with the proper air/fuel mix, then you can expect an increase in exhaust emissions. Depending on the spark plug condition, the associated side effects can cause a failed emissions test, and this might be a problem if you live in an area with tight emissions laws. This symptom is related to the unburned fuel coming out from the combustion chamber. Fuel particles can detonate (back-fire) in the exhaust system but could also exit through the tailpipe. This is where the strong gas smell comes from, however, be aware that bad spark plugs are only one of many possible causes for this symptom. What Should You Do If You Suspect Faulty Spark Plugs? As you can see from the above symptoms, one or more bad spark plugs can cause a wide range of symptoms. If you suspect a bad spark plug is to blame then you should check it out as soon as possible. Faulty spark plugs will usually cause the ECU to log one or more error codes if the symptoms are bad enough. The codes by themselves won't usually point directly to a faulty spark plug, but will indicate that something is wrong with the ignition, fuel delivery or exhaust systems. Common error codes include P0300, P0420 and P0430. If a spark plug is the cause of your problems, then it will usually be obvious when you remove them for a closer inspection. Worn and damaged spark plugs are easy to spot. If you find one or more worn spark plugs, then it's a good idea to replace all of them in one go. Spark plugs aren't that expensive, and even if they don't look too worn or dirty, they still have a finite life span. If the spark plugs look ok or were only replaced recently, then it may be a good idea to bring your car to a mechanic as there may be another cause of the symptoms your engine is creating.